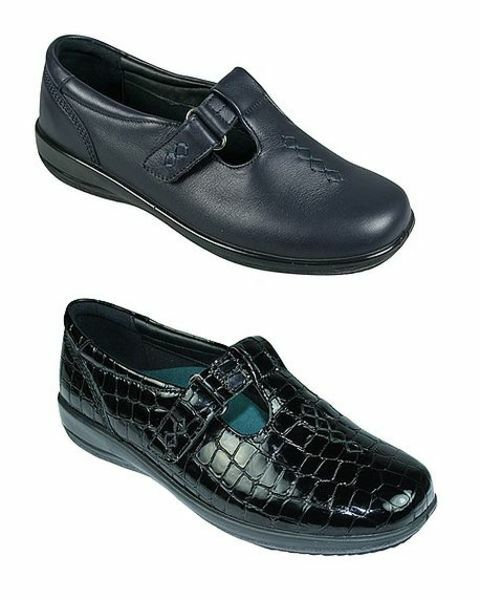 Womens soft leather shoe.Sizes 3-8 incl half sizes. Soft leather shoe with Velcro fastening strap and decorative stitching. Removable inner sole covers sizes EE-3E in one shoe. Memory foam inner for comfort with lightweight man-made sole. Black Patent, Navy.